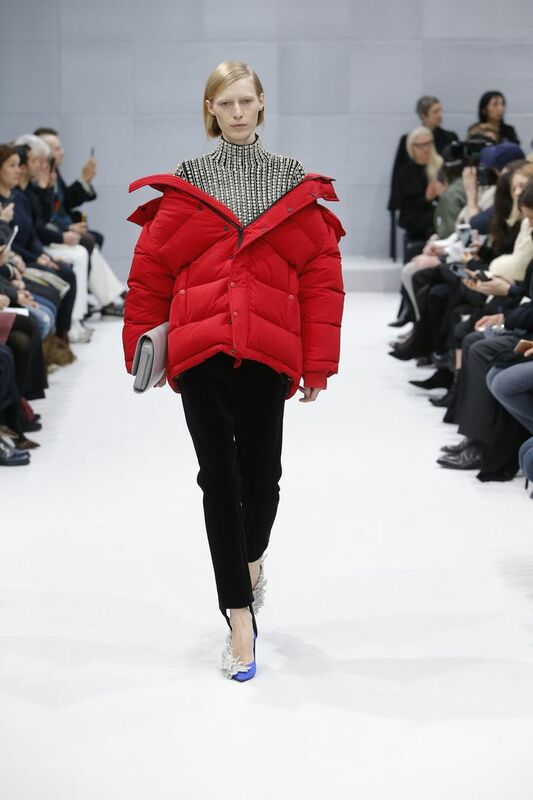 Thanks to Demna Gvasalia‘s debut collection for Balenciaga in March 16 skiwear has become everyone’s winter must have. Oversized puffer jackets that offer performance characteristics but are also fashionable. The addition of slacks and sporty details such as chunky elastic trims, polo collars, and athletic stripes have created a laid back approach to our wardrobes with a touch of retro inspiration. Soften the look with a pair of hells or an embellished ballet pump. Winter in Europe is dark and grey so why not inject a bit of colour into your looks too, think bold reds and deep hues of blue. So embrace a new, informal edge that luxe sportswear brings and be fearless. Oh and Happy New Year everyone!